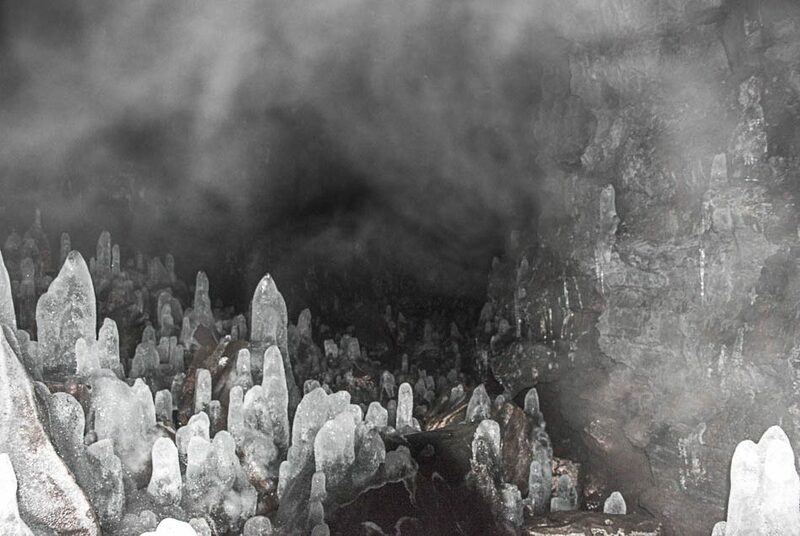 Even from Google Earth, this is an odd looking cave — just three evenly spaced holes and a shallow entrance hide a kilometer-long lava tube cave. It is easily accessible; the end of the tube has collapsed and offers a relatively easy entrance into the cave. 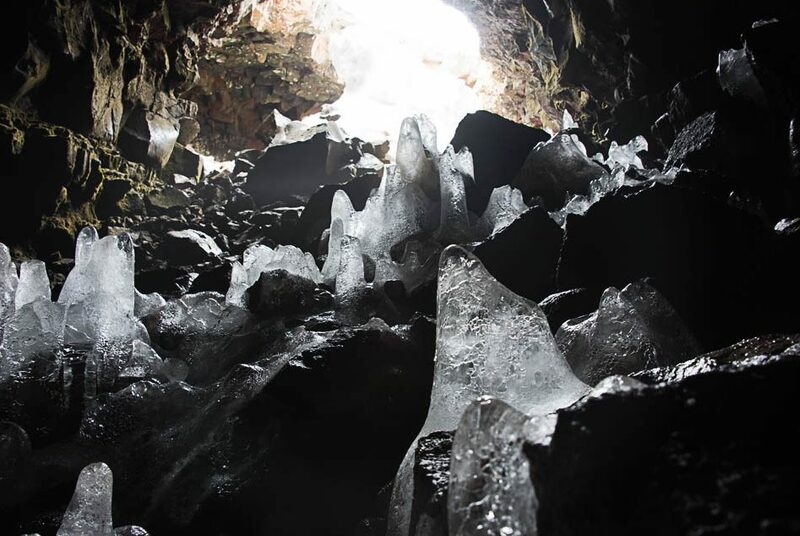 However — in winter, the cave floor is rimed with ice and can be very slippery. 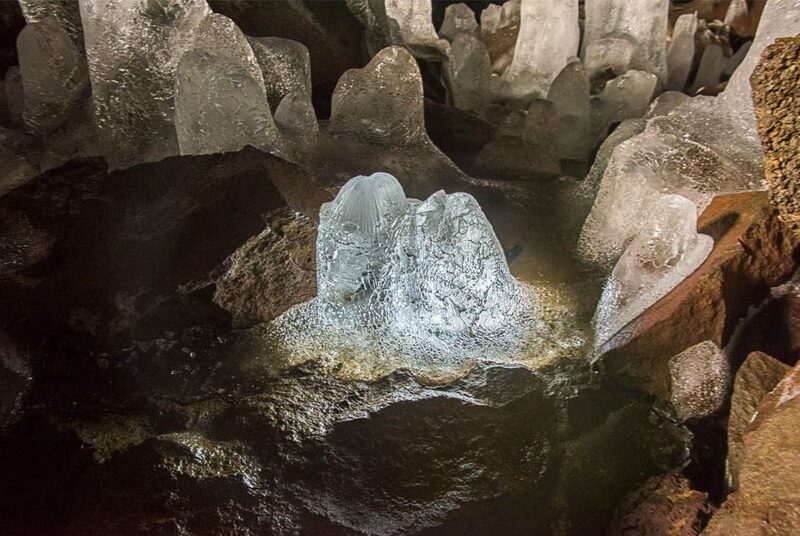 It is a ‘cold trap’ cave, with cold air entering the vents remains in the cave and results in ice formation on the floor and walls. 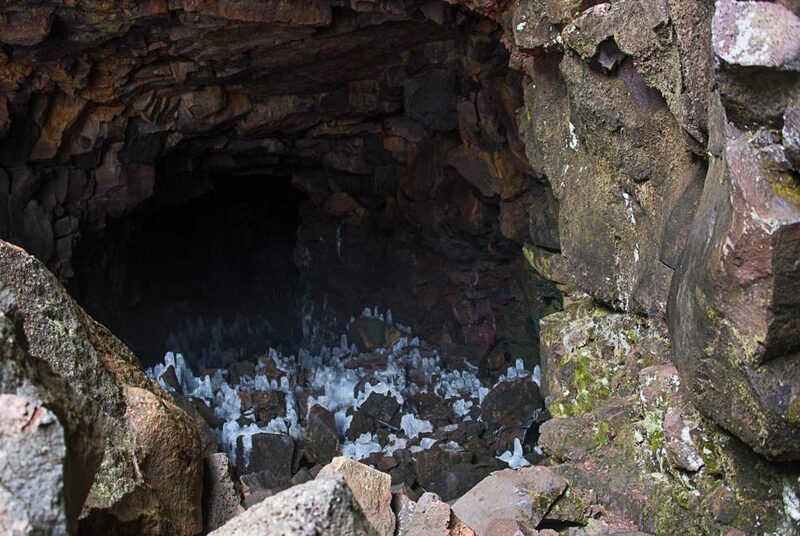 Lava tubes are natural tunnels where lava travels beneath the surface. 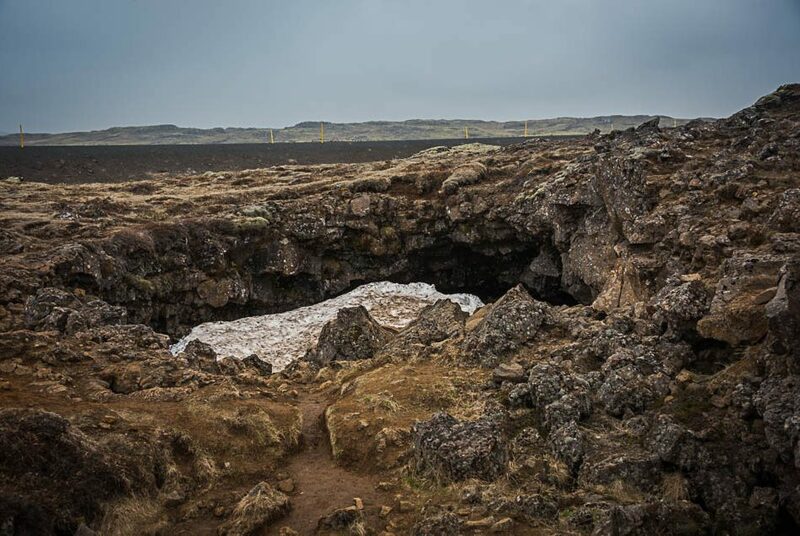 The caves are left behind when the lava has drained away beneath the cooled and hardened crust. 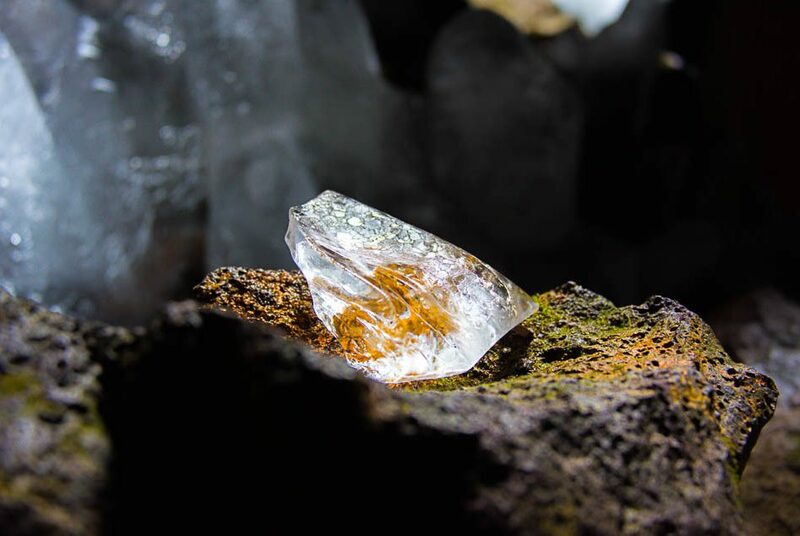 The cave is about 5000 years old, from the same lava flows that created the spectacular Leitahraun lava fields along Rt 39. 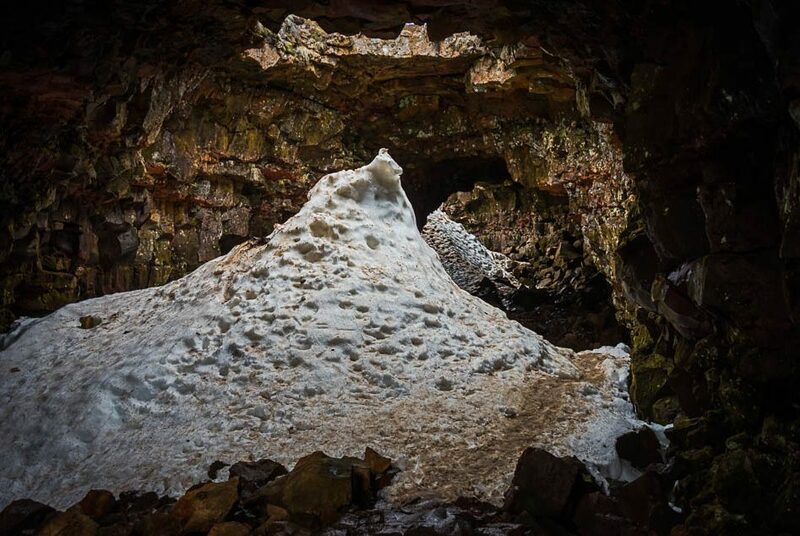 The cave is open all year, and accessible from a small parking lot. 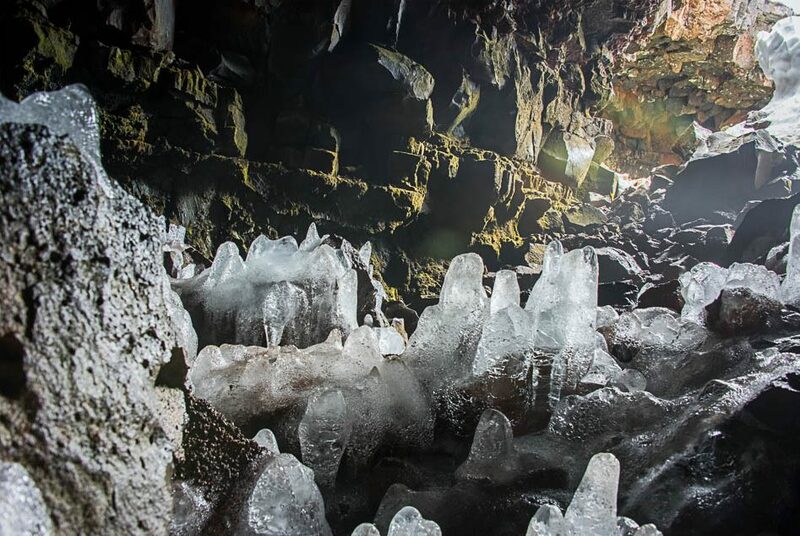 Extreme Iceland offers a day trip to explore the depths of the cave, but you can explore on your own with a good flashlight and sturdy shoes. There are many rocks, it is slow going, and in any season but summer can be slippery. You’re on your own, too. There was no one else there when we visited, and few cars travel past. Raufarholshellir featured in the movie Noah.